The final day of the 2018 NY2LA Sports Spring Extravaganza we saw high level performances from all different age levels. Division 1 coaches and beyond were lined up taking in the action. Here are some of the top prospects that stood out to me. Drew Lutz – 2019 (MBA Select 17u) - Nothing has changed as Lutz continues to light up score boards. The leading scorer in the NY2LA association is a deep ball threat that can let it fly from all over the floor. He is skilled, smart, and has that mentality that coaches love in their point guard. The 6-1 guard is turning himself into a legitimate low major division 1 prospect and forcing coaches to take notice. 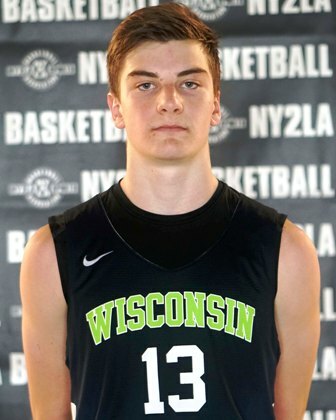 Brayden Dailey – 2021 (WI Swing 15u) - Dailey continues to prove why he is one of the top 2021 prospects in the 15u NY2LA association. He is a very long and athletic wing player that is a good shooter, slasher, finisher, and passer. Defensively he uses his length to block and alter shots and can stay in front of his opponent for the full length of the floor with no problem. In a loaded 2021 class in Wisconsin Dailey has made a name for himself as one of the premier prospects coming up out of the badger state. Anton Brookshire – 2021 (Yanders Law 16u) - Brookshire has been playing at a high level all spring and nothing was different Sunday. He is a quick, shifty, and smart point guard who makes players around him better. He is very smooth and plays well beyond his age. He can hurt his defenders in many ways and if he gets hot from the outside good luck trying to stop him. The 6-2 guard continues to rise his stock and is a legitimate top 50 talent in the 2021 class. 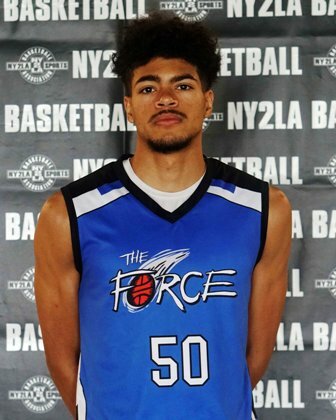 Tristan Pratt – 2019 (The Force 17u) - Pratt is a promising prospect who can do a little bit of everything. He is an athletic wing that can catch off the pass at a high rate and create his own shot off the bounce. He was taking advantage of any defender that was in front of him as he was able to blow by them using creative crossovers which was leading to easy buckets for Pratt. The 6-5 prospect is re-opened his verbal commitment after previously committing to Division 1 Northern Colorado of the Big Sky conference. Drew Biber – 2021 (WI Blizzard Hawley 17u) - Playing up two age levels Biber looked like he belonged. He has great strength, size, and length for being such a young prospect. His team was going to him when they needed a bucket and he usually answered. He was showcasing his ability to get to the rim which usually ended in a bucket or foul shots. Biber is a 2021 Wisconsin prospect to pay close attention to over the next couple of years. Deonte Billups – 2019 (Quad City Elite 17u) - Billups played well against Inland Empire early Sunday morning in Quad City Elite's victory. The 6-4 wing plays out on the perimeter where he is a catch and shoot threat. He showed his ability to score from all three levels last weekend as he was slashing to the rim and finishing around the basket and he hit some pull up jumpers. Defensively he goes hard and can guard multiple different positions. Billups crashes the boards hard for a wing and led his team in rebounds with 6 in Quad City's win Sunday. 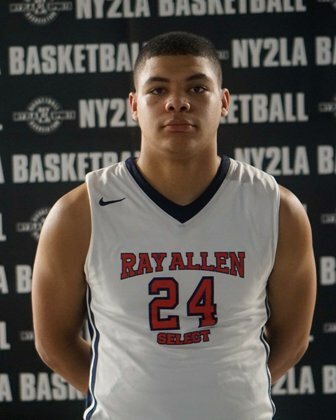 Luke Umnus – 2019 (Ray Allen Select 17u – Donaldson) - Umnus was spectacular for Ray Allen Select – Donaldson as he was a key piece to the 17u Open Division Platinum championship team. The left-handed guard is very crafty and quick making it hard for defenders to stay in front of him. He showed that he can knock down shots from beyond the arc with consistency. He likes to get in his defenders' face for the full length of the floor and make it extremely hard for them to get by him. He proved that he is a sleeper to pay attention to in Wisconsin's 2019 class. Dawand Jones – 2019 (Team Teague 17u) - Jones continues to be one of the most productive big men in the association using his size and strength to take advantage of his opponents. Standing at 6-8 and weighing 320 pounds he is an absolute force to be reckon with down low. The two-sport standout has great hands for a big man and can score around the basket in a variety of different ways. He has a nice soft touch around the rim and can knock down mid-range jumpers as well. Karter Thomas – 2020 (Ray Allen Select 16u) - Thomas had breakout performance after breakout performance all weekend long and Sunday was no different. He is a very physical and strong point guard who can power through defenders and finish around the rim through contact. He proved himself as a knock down three-point shooter and was hitting from all over the floor. He is a rising 2020 prospect in the badger state to pay attention too.